Home Short Cuts All Souls: A Blast From The Past. All Souls: A Blast From The Past. Camel, Queens of The Stone Age, The Screaming Trees, Tool, and King Crimson. The band members all met each other way back in 1994 but didn’t become a reality until 21 years later, in 2015. Serious music lovers are lucky they came together to make lysergic magic. The opening salvo, “Party Night,” sports a droning slide guitar and Antonio Aguilar’s unsettling vocals that are reminiscent of a more polished Jello Biafra. The backbeat is strong and propelled by nitro-charged minor key guitars and a burrowing earwig drone that makes for an epic opener. “Never Know” sounds like it could be from a forgotten QOTSA or Eagles of Death Metal recording session or some rare, obscure British import. Bassist Meg Castellanos’ backup vocals add great tension and a dark MBV undercurrent. The epic “Rename The Room” could be a lost track from some obscure 70’s prog band across the pond crossed with early Tool. The members of this All Souls come with their unique pedigrees and flavors. They create music that challenges the listener and breaks the mold of stale, FM, sanitized radio that lulls the listeners into a boredom-induced coma. This disc breaks that mold, doses the mind, and expands the consciousness. Drop in and drop out. All Souls have toured with Red Fang, The Sword, and Torche. Their debut on Sunyata Records is slated for release on February 9th. 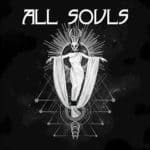 If you enjoy sonic head trips and music that’s a bit more challenging and innovative, may we recommend All Souls? Previous PostRob Zombie and Marilyn Manson Return To St. Louis. Next PostBlack Rebel Motorcycle Club At Delmar Hall February 12th. 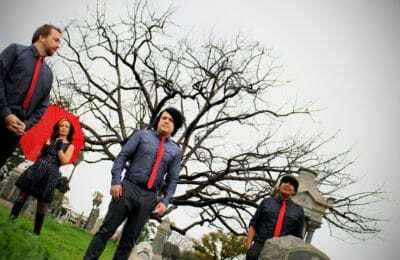 Mega-Low Melvins’ Rumble Returns To Rock The Lou. All Souls: Desert Star Alignment.